J.P. Morgan chief executive Jamie Dimon appeared on CNBC on Thursday to discuss why he doesn’t think tariffs are the way to go. 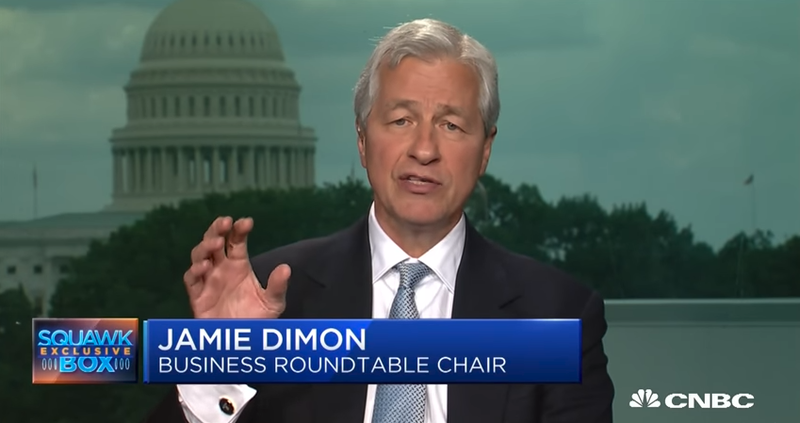 Dimon is the chairman of the Business Roundtable, an association of CEOs of America’s leading companies working to promote a thriving U.S. economy. “We think the president has raised some very critical issues about trade, especially with China, around state owned enterprises, fair competition, market access, the ability to own 100% of a company, and these things should be negotiated out and the Business Roundtable supports those issues,” Dimon said. Dimon said the Business Rountable has been quite clear that it doesn’t think tariffs are the way to do it.